Real food includes butter, which is simple and can be a part of a healthy diet. Basic butter. Not fancy, not new, not fake. Butter is a real food with few ingredients. It is simple. But isn't butter high in saturated fat? Yup. But I am not worried about saturated fat (more on that in a sec). 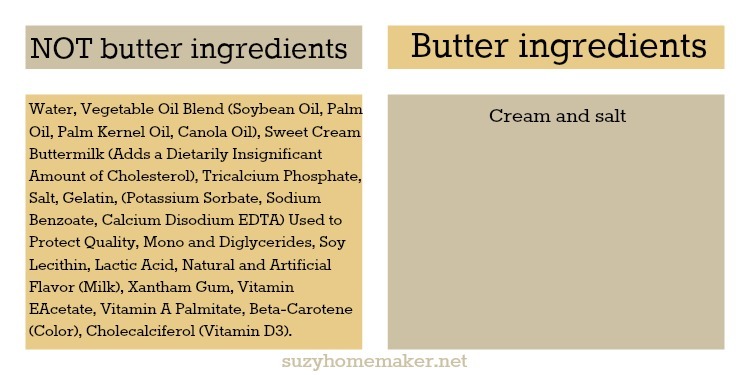 Butter is a great real food, but some manufacturers that want you to think there are healthier alternatives. Let's look at a product that wants you to believe it is just as good or maybe even healthier. And they say it right in the name. But believe it...it is NOT butter. 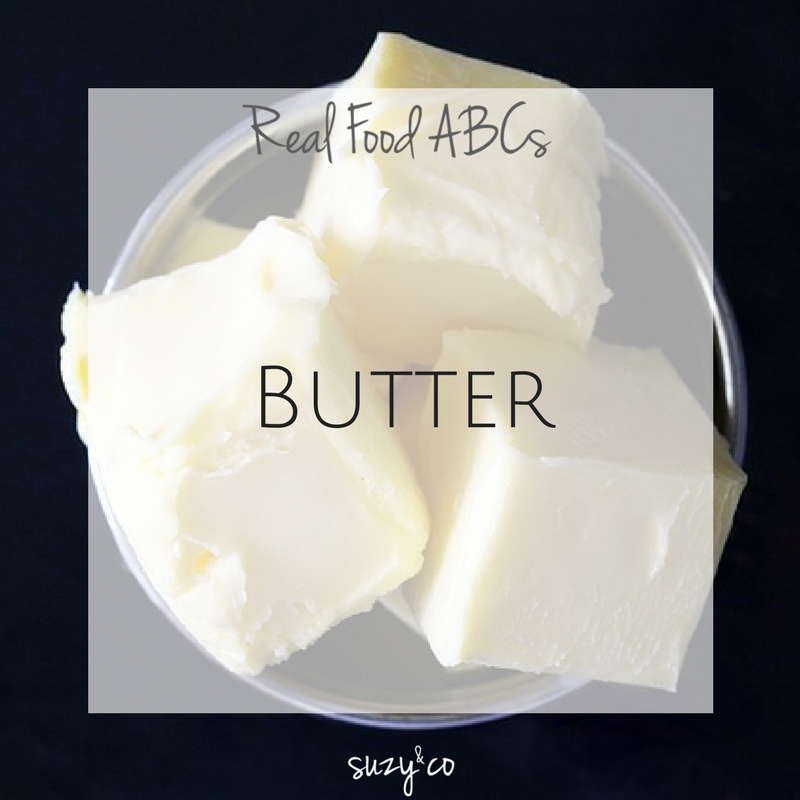 Since I am all about less ingredients and less processing, the ingredients list comparison is enough for me to choose butter over not butter. The ingredients are easy to understand and it is something that could easily be made from scratch at home. Not only that, but soybean oil and canola oil are not as healthy as you might think. 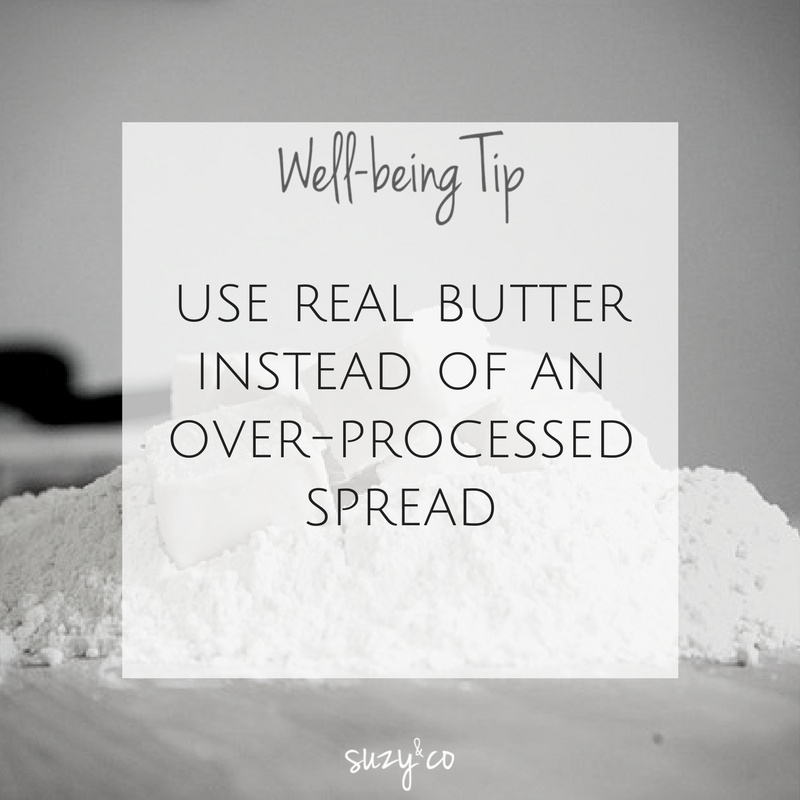 Besides being less processed with basic ingredients, butter also contains the vitamins A, D, E and K. And it has something called Conjugated Linoleic Acid that may help the immune system and with weight loss. And yet in your head you may still be saying "But it still has saturated fats." If the ingredients list comparison and nutrients is still overshadowed by your fear of saturated fats, here is some information that may help. Now I know you may find other research articles that will say saturated fat is bad. But the research is not conclusive and saturated fat actually increases HDL, which is the good cholesterol that is protective. One other thing to consider with butter is the source. Happy cows roaming freely in a pasture will produce a much healthier product than CAFO cows. 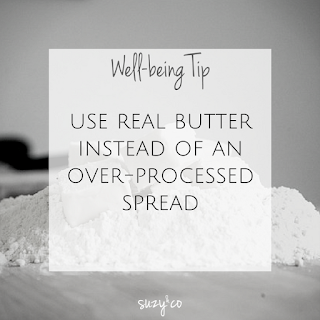 When possible choose butter from pastured cows. Did you miss A for Apple Cider Vinegar?